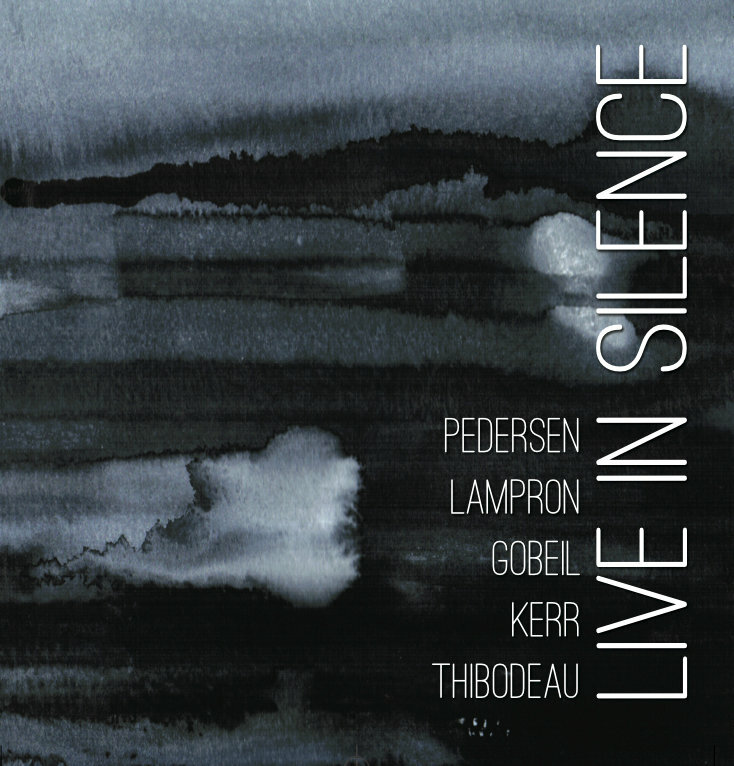 Live in Silence is the debut recording from the Montreal/Ottawa jazz collective Pedersen/Lampron/Gobeil/Kerr/Thibodeau. All leaders in their own right, they came together in late July of 2012 for a tour of Northern Quebec. Travelling from Montreal to Quebec City, Chicoutimi and Lac-St-Jean, they ended up in Les Escoumins on the banks of the St. Laurent River for an unforgettable evening of “Jazz Sous La Lune”, playing for an intimate audience of fans, friends and whales. Their final stop was Montreal’s Bar Les Pas Sages to document the tour for a live recording with Montreal with engineer wizard Paul Johnston. Inspired by the music of John Coltrane, John Zorn, Anders Jormin, Ben Monder, and Brian Blade their music treads the line between structure and freedom, intellectual and playfulness, reverence for tradition and pushing beyond their boundaries.